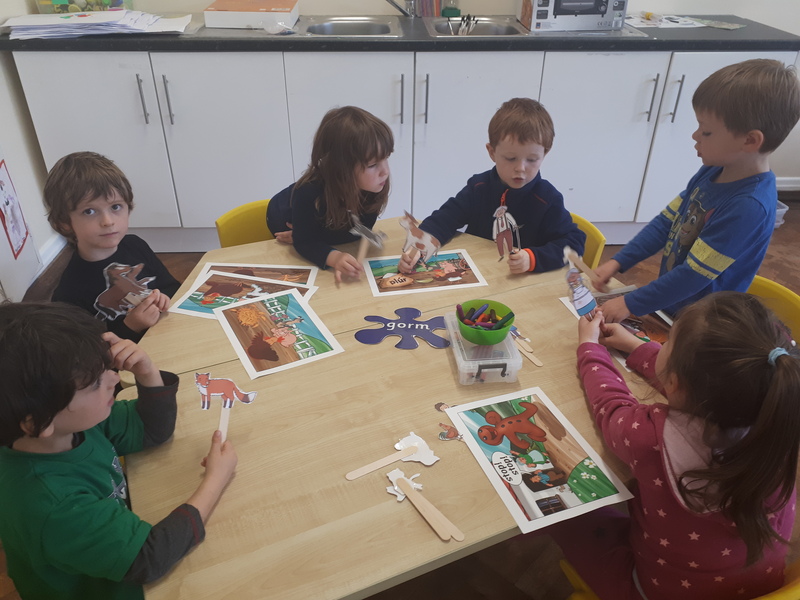 During October we focused our attention on the story of The Gingerbread Man. 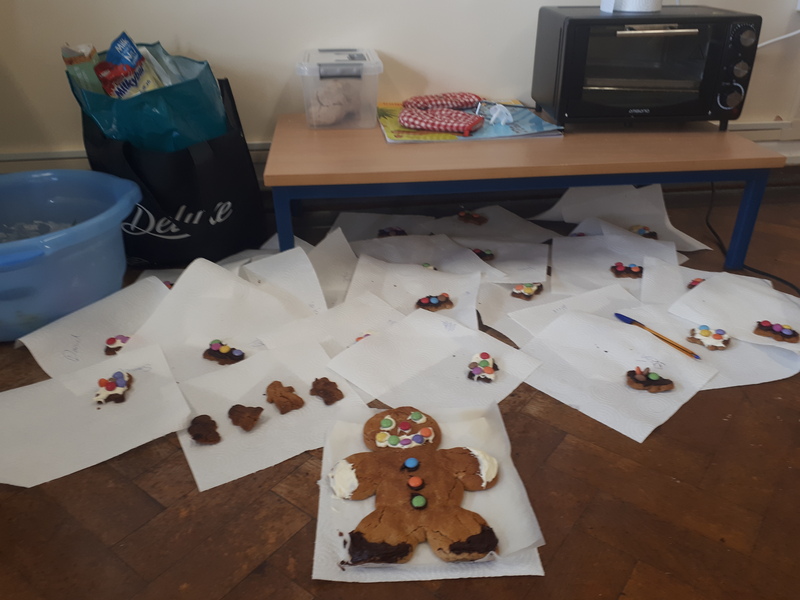 Using lots of mathematical language we measured the ingredients needed to make and bake our own gingerbread men. 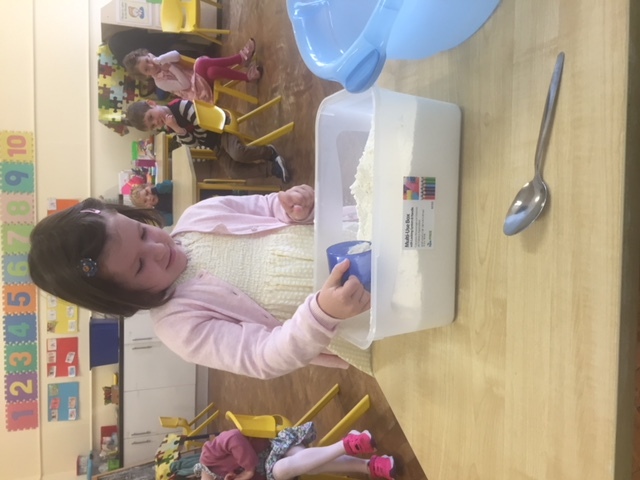 We measured cups of flour to ensure that they were full, we counted the spoons to ensure we had put in the correct amount of ginger and sugar. 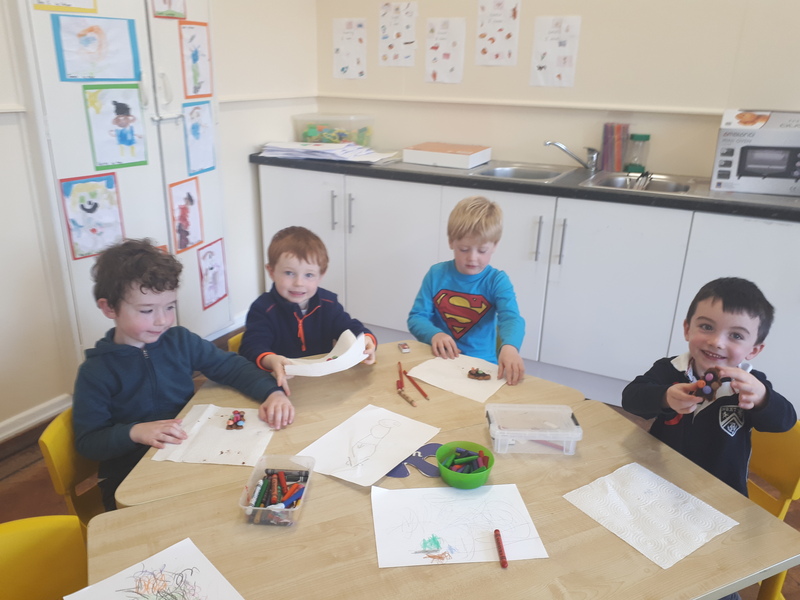 Then we had great fun decorating and eating them. 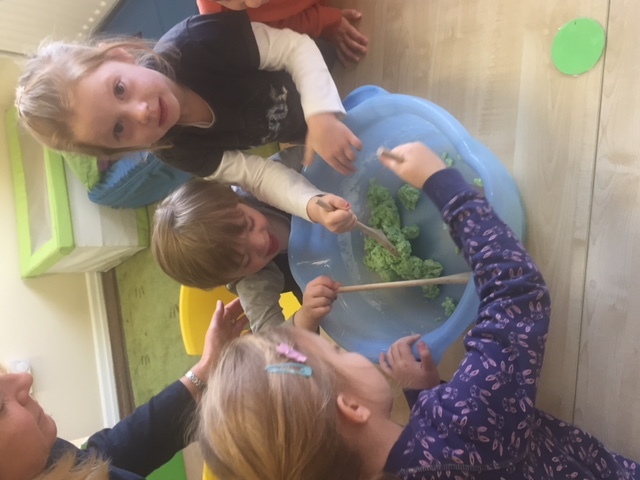 We also made our own ginger scented playdough. 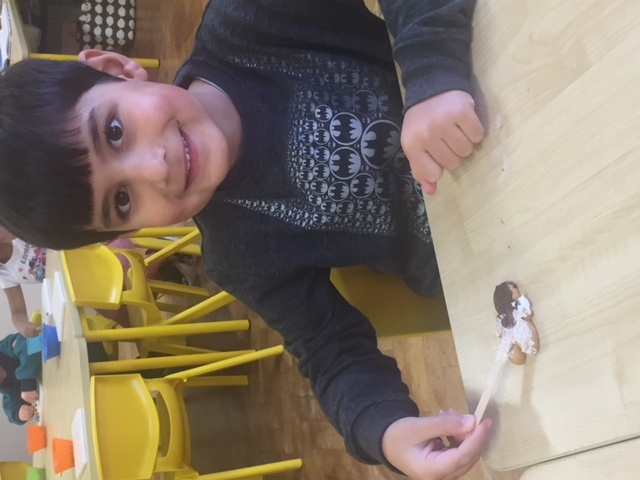 This involved reading the recipe together and exploring the concept of more and less. 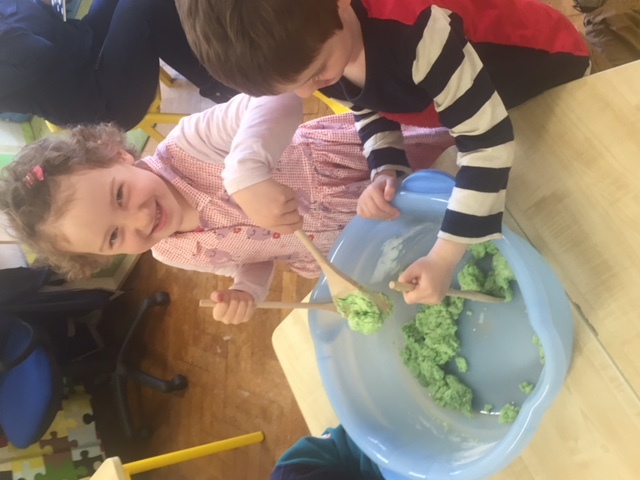 We saw that by adding more flour the playdough became less sticky! We had fun acting out scenes from the story after we retold it in our own words and in the correct order.